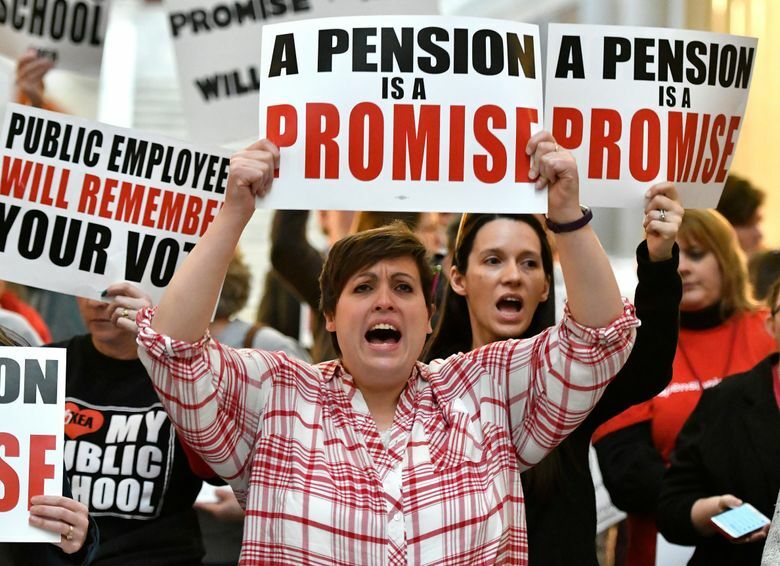 FRANKFORT, Ky. (AP) — Hundreds of Kentucky teachers cheered Friday as Republican lawmakers decided not to vote on a bill that would cut retirement benefits for one of the nation’s worst-funded public pension plans. 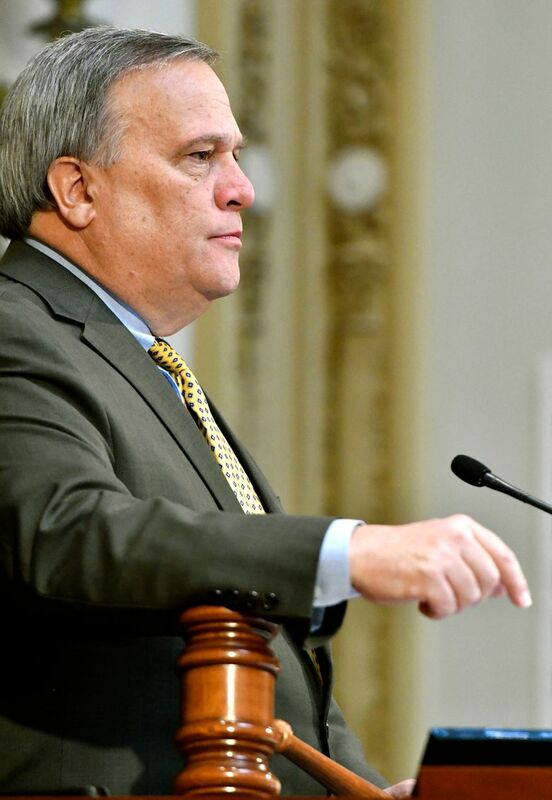 “Individuals wanted more time to consider the position that we are in,” Republican Senate President Robert Stivers said. 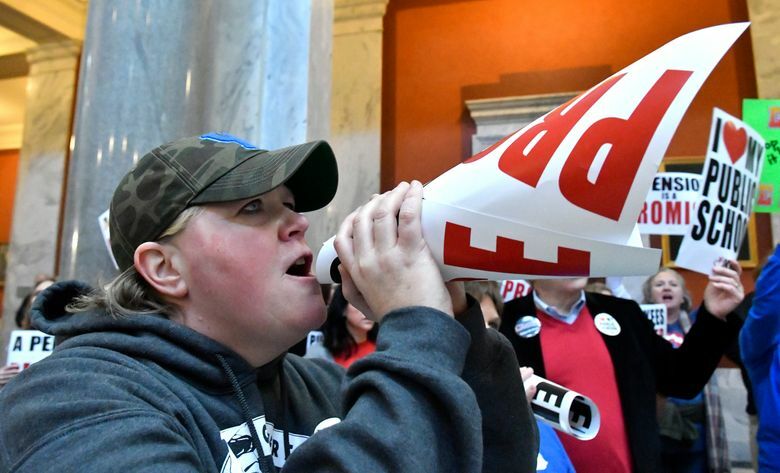 Outside, teachers cheered when they got the news before erupting into chants of “we won’t back down.” The showdown comes at a time of growing unrest among public educators across the country, led by thousands of West Virginia teachers who walked off the job for nine days to secure a 5 percent pay raise from the state legislature. 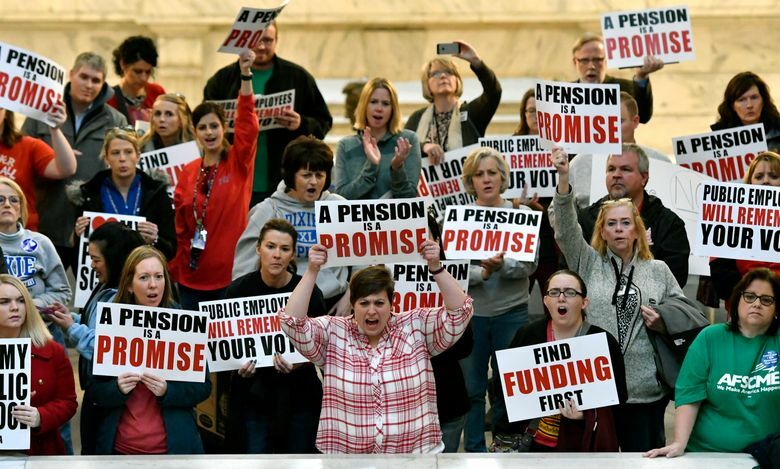 Kentucky teachers are not fighting for a pay raise but are asking lawmakers not to change their retirement benefits. The state is at least $41 billion short of what it needs to pay retirement benefits over the next 30 years. 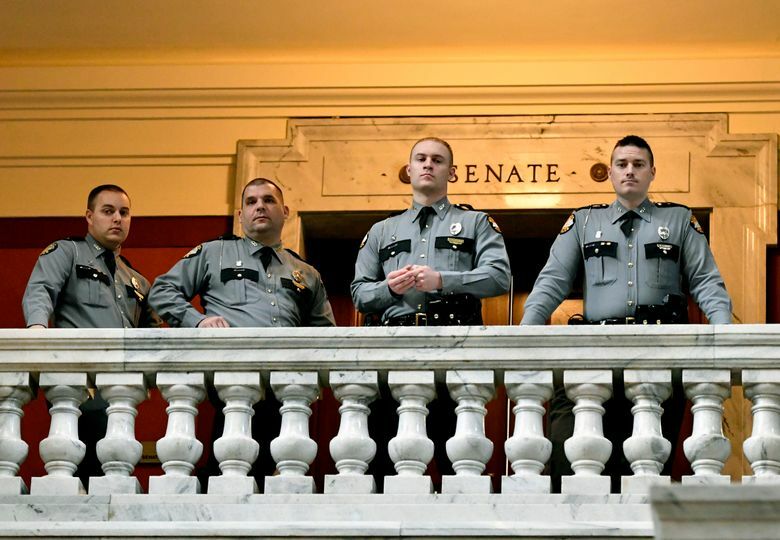 Lawmakers have committed to putting $3.3 billion into the pension system over the next two years to keep it solvent, prompting plans for budget cuts across most state agencies. 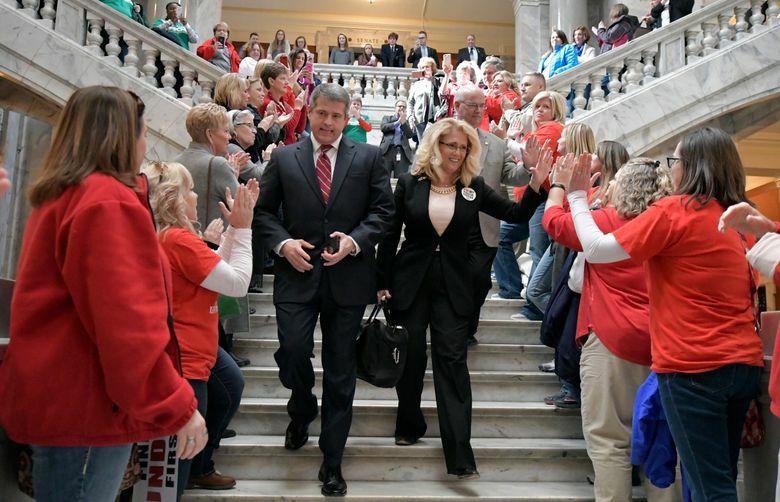 State officials say Senate Bill 1 would save taxpayers about $3.2 billion over the next 20 years and stabilize the struggling pension system. But most of that savings would come from temporary cuts to the annual cost-of-living raises for retired teachers, who are not eligible to receive Social Security benefits. The raises would be restored once the system is 90 percent funded. Currently, the system is 56 percent funded. 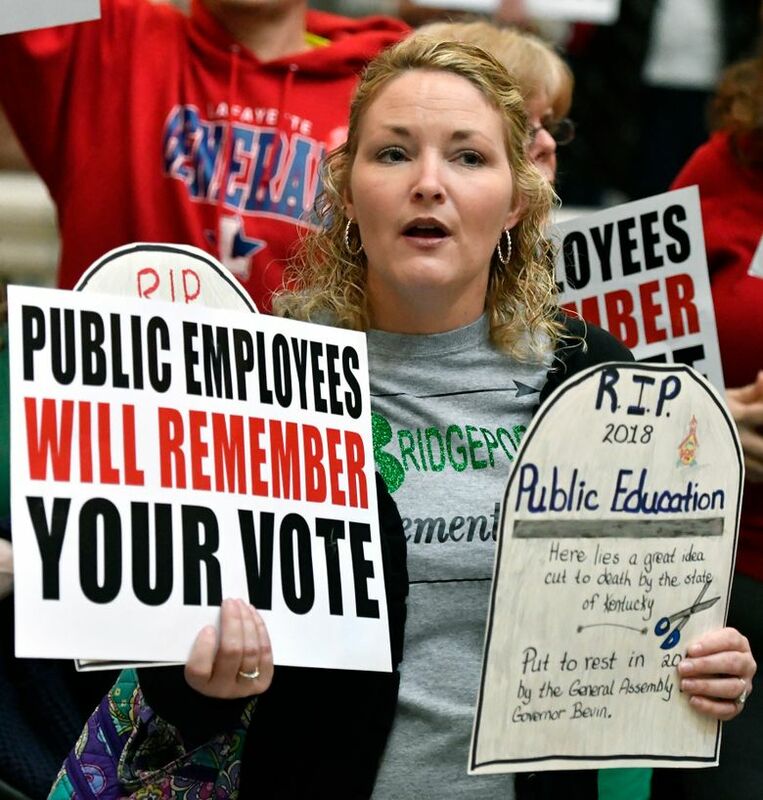 Hundreds of teachers jammed the cavernous halls of the state Capitol, chanting so loudly that the Senate president asked the doors to stay closed as much as possible. Senate Democrats, who have only 11 out of the 38 seats in the Senate, seemed emboldened by the protests. 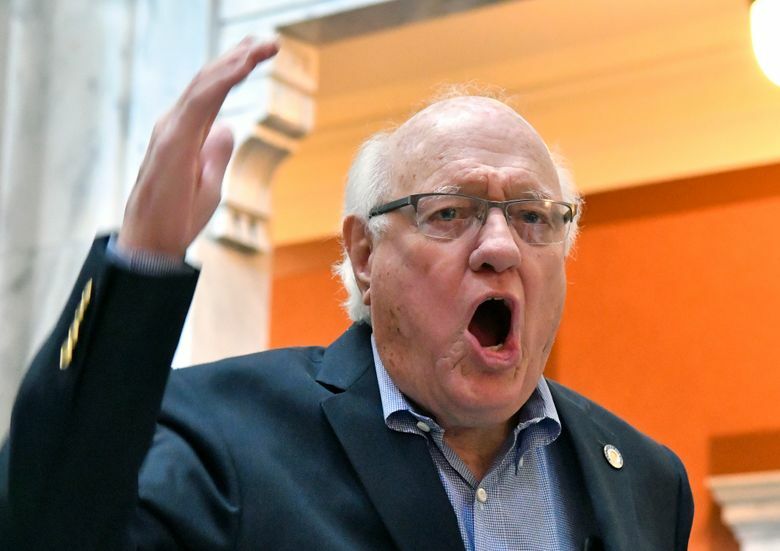 “As long as there’s a breath of air in every one of the 11 of us, we’re going to fight ’em,” Senate Democratic Leader Ray Jones told the crowd during the recess.